Jon graduated from Miami University of Ohio in 2014. He grew his private studio to 64 students but felt overwhelmed by the workload. Jon hired me as a coach to help convert his studio to group format. We worked on logistics, education, and marketing for this new program. Jon converted his entire studio (yes, 100%) to the group format in less than six weeks. He decreased his time commitment by 60% while increasing revenue. This was the question posed to me in an email I received from Jon Sanford in mid-December of 2016. Jon was on the private invitation list to my first training program. The program focused on how to convert a music studio of any size to the group format. But, Jon had a deadline and asked me to personally train him on an accelerated schedule. We traded emails and came up with a plan to convert his studio in less than six weeks. This is the story of how Jon pulled off this minor miracle – and what steps you should follow if you’d like to do the same! Jon graduated in 2014 with a Masters in piano performance from Miami University of Ohio. His long-term goal was to open his own music school. He got a jump on that goal by hustling while still a student. During his time as a student, he taught private lessons on the side. He also did many odd jobs: church gigs, an adjunct position, and teaching as a contract teacher at two other studios in the greater Cincinnati area. When he graduated, he already had 40 students. He stopped all the odd jobs in late 2015 and went completely on his own in 2016. His private studio grew to 60 students – in a college town north of Cincinnati, Ohio. Jon had what many would consider to be an ideal studio: full enrollment and strong fees. Many of his students were children of music faculty at Miami University of Ohio. These families prioritized music! His full schedule created long days, 7 days a week! Most workdays he wasn’t finishing until 8:30p or 9p. He saw that many students could benefit from a long lesson, but many parents wouldn’t go longer than 30 minutes. The Catch-22 was that he could only offer longer lessons to a small group of students because he was at capacity. This is the situation that Jon found himself in at the end of 2016 when we talked for the first time. Jon first heard about me in Amy Chaplin’s “Wild West of Marketing” presentation at the MTNA National Conference in 2016. He subscribed to my blog. He found success following strategies laid out in my piano teacher’s Facebook guide and plan on how to make $10,000 teaching music. When I announced my private training program to convert to a group studio, he was ready to make a big change in his studio. We began working together the week before Christmas of 2016. Right away, we both knew that we were working under a deadline. I took him through my Successful Group Lessons framework. We started by getting his studio set up. We worked quickly to get the right equipment ordered. We created new logistics and procedures based on my own personal group piano program. We then spent time talking through what the program should look like. What should kids be doing? How do you keep the class under control? How long should the group be? How many kids per group? There are a lot of details to get right! Much of our work centered around phone calls that we had together. Jon had a lot of questions about how to market the group to parents. He was already familiar with some of the marketing concepts I’ve discussed about creating a plan for a high-value group program in your studio. We fleshed out how to take these general concepts and apply them to what made his studio and program unique. Finally, Jon turned his attention to the educational content. 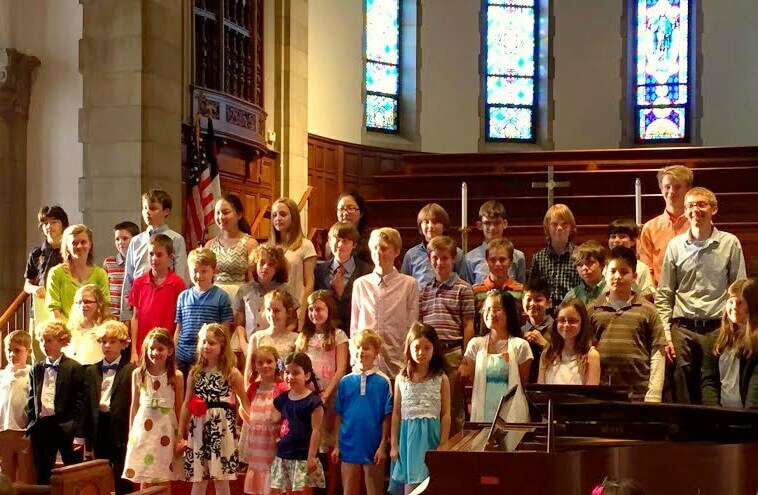 A good group piano program doesn’t need a special curriculum. We adapted the Faber curriculum to work in the group. I emphasized to Jon that he didn’t have to change what he was currently doing that much. I sent Jon hours of observation videos from my own studio to show him what he needed to add and subtract. We discussed the six educational principles that comprise the foundation of a solid group lesson program. Decrease his teaching load by 12 hours per week – while increasing overall revenue and enrollment! That last point is astounding. I just thought I’d share some statistics I discovered this week. Last year I started the “40-piece challenge” in my studio as an incentive program for students. I think I told you I had some students drastically behind in January and were able to catch up after switching to the new class. Since I marked the dates on their challenge sheets, I was able to analyze the progress of the entire studio. In the first semester, students who were doing the challenge learned a collective total of 159 pieces. 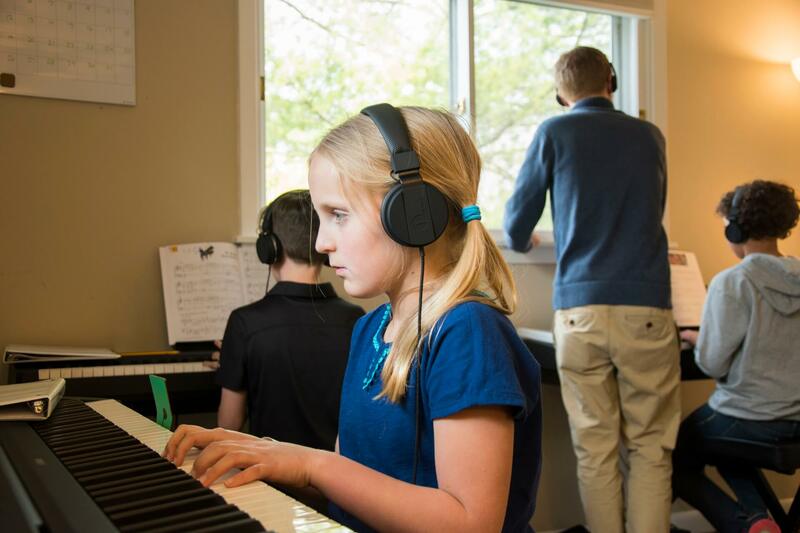 In the second semester – after switching to the accelerated class – the same group of students learned 363 pieces! There were just a couple students who chose to remain in the private lessons, one of them learned the same amount of pieces while the other learned fewer. 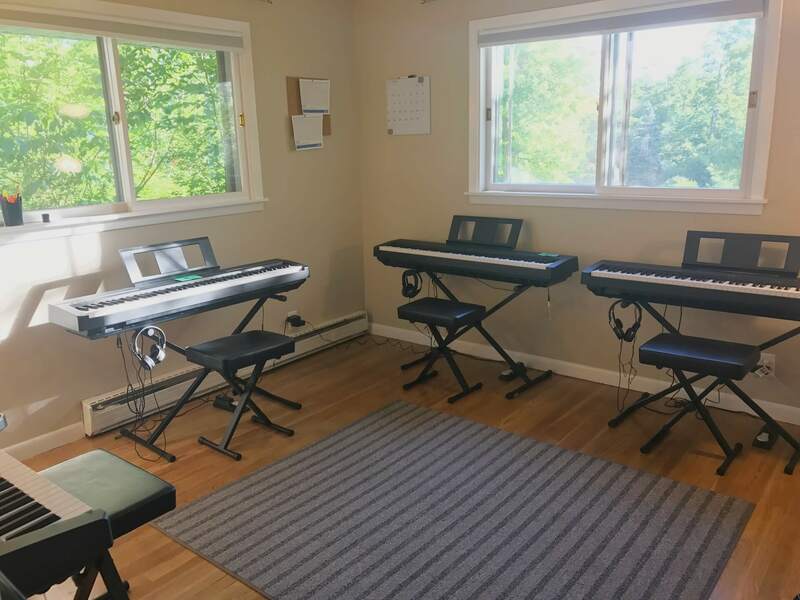 Right now I have 72 piano students, and I’m teaching 23 hours per week (10 hours of classes, 13 hours of private lessons with adults or advanced students). I have 8 spots left for students in classes without adding any extra teaching time. I ended up getting a 6th keyboard and hired some music majors from Miami to have one assistant with me in each class. That has been going really smoothly so far. I asked Jon what other teachers could take away from his experiences. The lessons he learned are applicable to anyone with a studio – big or small, new or experienced teacher. Jon had only been out of his degree program for a few years, but he was already dealing with the classic problem that a successful teacher has. The group format allows you to have it all. More students and more time. 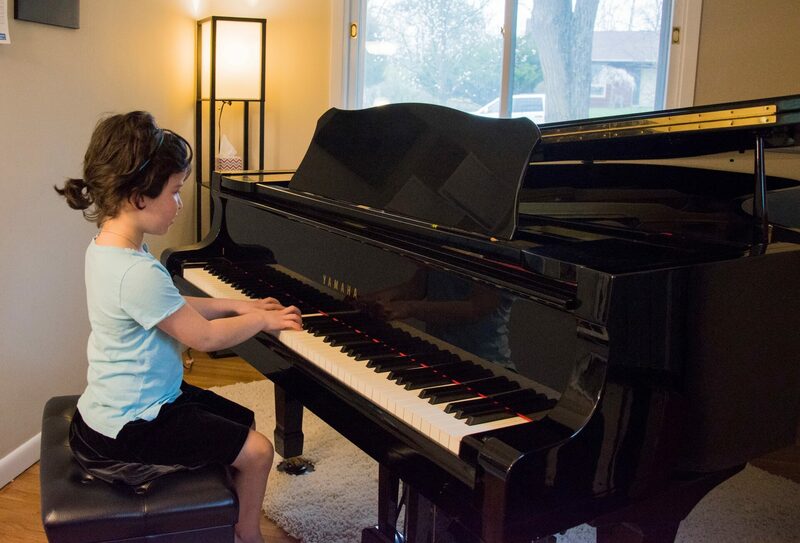 You can help and invest in more children by using the group piano method. Jon and I worked on creating a persuasive message that would get parents on board with this new program. But, he had a few big fears. He feared that families would join and that their progress would slow. Or, that the new group program wouldn’t live up to his personal standards for excellence. He has now worked this new format for six months, and those fears have been debunked. “I use the 40 Piece Challenge in my studio for motivation. I had a number of students who were very behind. They were behind 8-10 pieces about halfway through the year. I asked Jon what his favorite moments were in our time working together. He loved that the blueprint was completed for him. I gave him all my marketing emails and gave him a complete teaching system for the group. This helped him hit the ground running. He liked that he had someone else to work with. 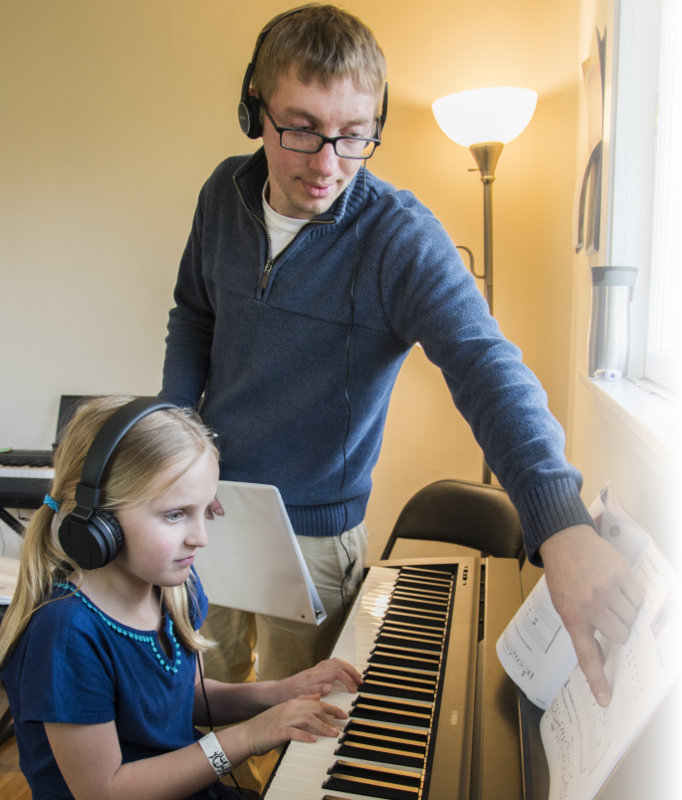 Piano teaching can be lonely… reaching out for support and a professional mentor was a big win for Jon. He loved drawing on the years of experience I have dealing with parent objections. There were a few families in his studio that were skeptical or on the fence. We worked together on email verbiage and talking points for personal conversations. The parents voluntarily came on board the new program. These were a few things that Jon enjoyed about our work together. Jon was motivated. He wasn’t afraid of change, but he didn’t want to do it on his own. This is the reason he came to work with me. After we finished working, I asked him if he had reservations before we began working. We both had a laugh over this. My follow up was to ask him if he had regrets over the investment he made in himself, his studio, and his students. “I knew that it would be worth it. If I saved 45 minutes per week, it would pay for itself. These are strong words! But, that speaks more to the power of group teaching and what can happen when you make BIG changes in your studio. Would you like to make big changes? Grow your studio, attract quality students, change your format, and more… what change do you want to make?